“50% Percent.” Borrowed text: I’m British. I’m American. 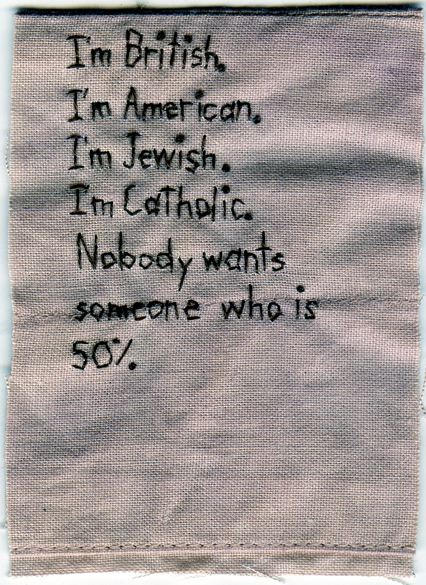 I’m Jewish. I’m Catholic. Nobody wants someone who’s 50%. 2012. Embroidery on fabric dyed with purple onion skin. 3.75″ x 2.7″.